One of the signature features of our historic worship space is the presence of stained glass windows. These windows of painted glass reflect the wondrous beauty of God’s creation. They serve as a constant reminder that just as the light shines through its many colors, so our lives are called to show forth the beauty of God’s manifold gifts of grace. The memorial dedications on each window connect us with our 280 years of history. Thus our windows honor the past, illuminate the present and inspire us for the future. 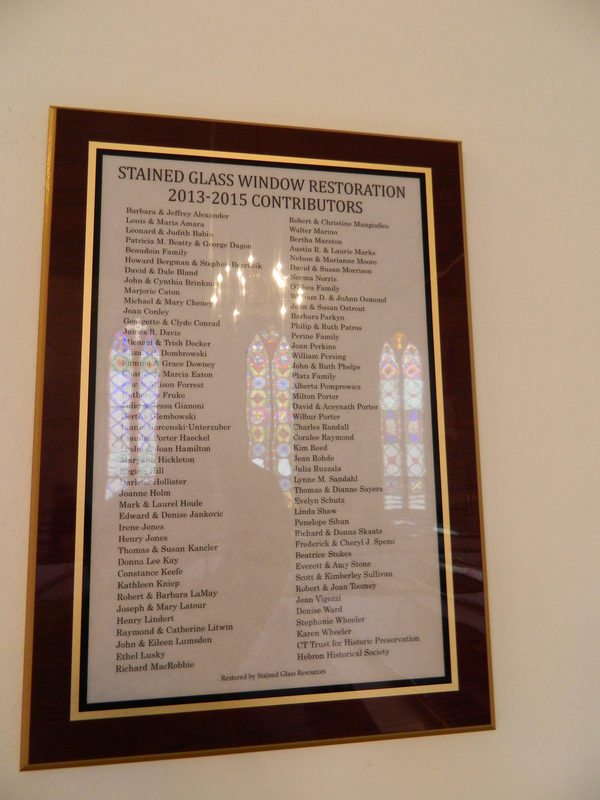 We want to thank all of you who have so graciously sent in donations to restore our stained glass windows. 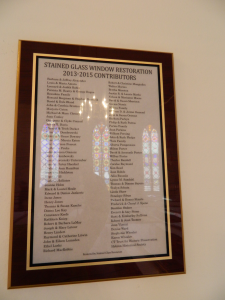 All of the stained glass windows that were in need of immediate repair have been restored. We invite you to come and see the beauty of these windows in our church.